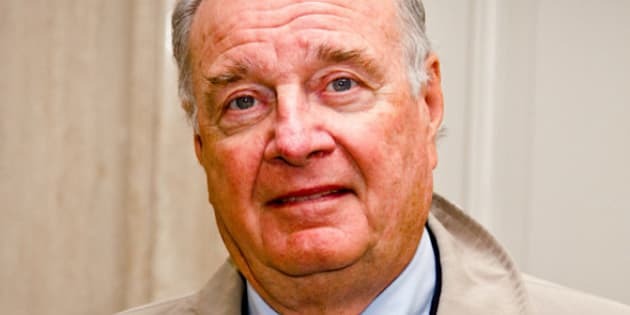 An unexpected voice is joining the chorus of support for the Occupy movement — former prime minister Paul Martin. Martin says protesters have sparked a global debate that may help save the free market system. “This idea that [the Occupy protestors] don’t have clear goals, I don’t think anybody buys it,” Martin told The Huffington Post, even as city governments across Canada step up their efforts to end the occupation. Since Occupy Wall Street launched in New York two months ago, spreading like wildfire across the Western world, many public figures have come out in support of the protests against the growing gap between rich and poor. Most, however, have been celebrities, such as Gordon Lightfoot joining his daughter at Occupy Toronto and Anne Hathaway marching in yesterday’s Day of Action in New York. Martin — who enacted controversial social service cuts during his time as Liberal finance minister from 1994 to 2002 — says he’s gone down to Occupy Montreal and spoken to the protestors personally. These are big statements from the politician who originally proposed the G20, an international organization which has been attracting mass protests since long before Occupy, and who is currently an advisor to the International Monetary Fund, another anti-globalization boogeyman. Martin added that he considers Canada’s bankers “enlightened” compared to their counterparts in the United States and Europe, whom he deems the real spark for the Occupy movement, especially considering their continued efforts to combat regulation despite the ongoing financial crisis.